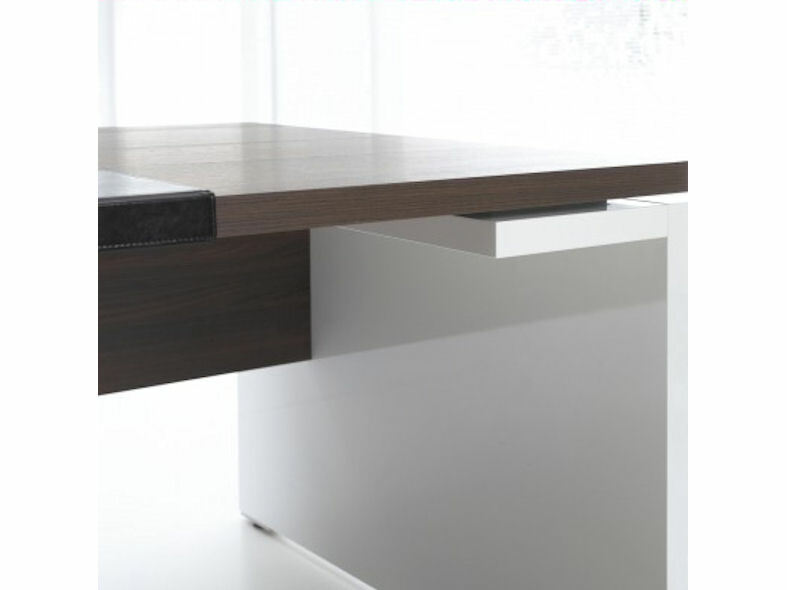 The MDD MITO Executive Desk with panel end is designed by the Italian architect, Simone Bernocch and features a lockable drawer/storage return. 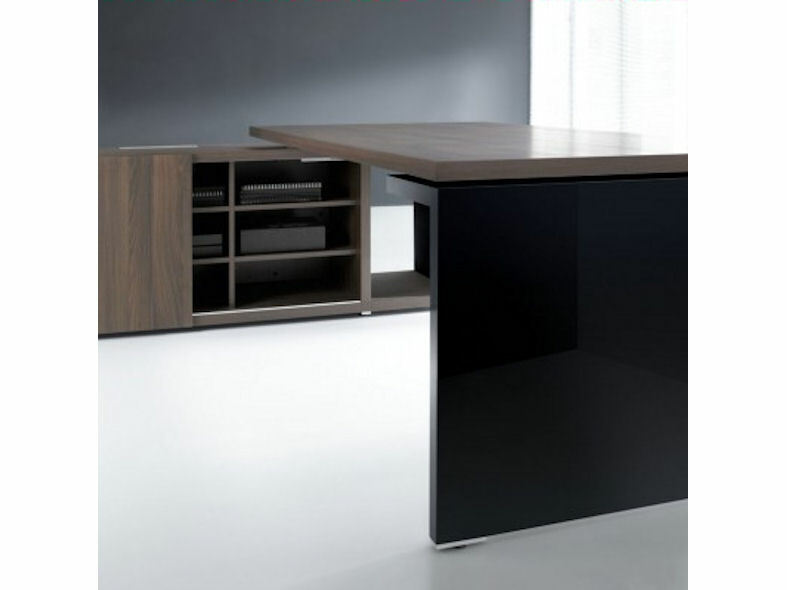 MITO is a brand new range of executive furniture that includes contrasting gloss black or white lacquered end panels to compliment the main structure finish of light or dark coloured textured sycamore wood effect melamine. 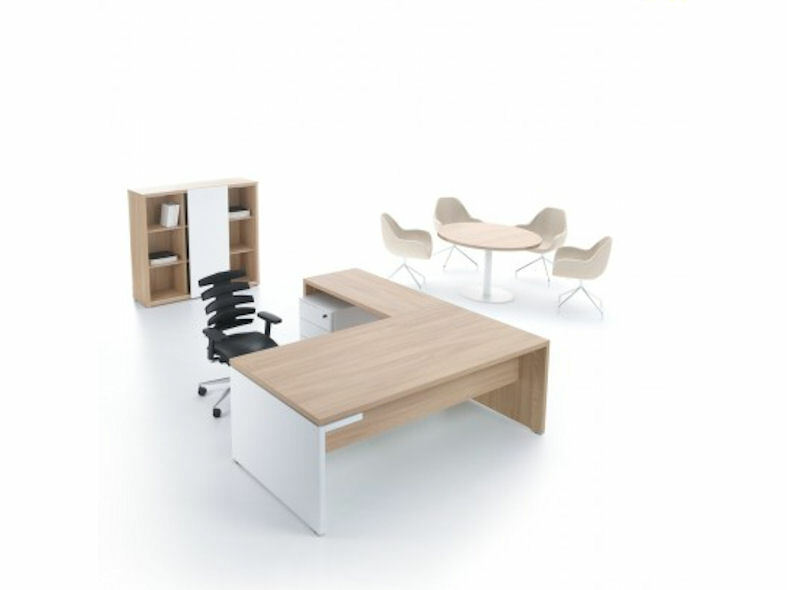 MTO is available in left or right handed options and two different sizes. 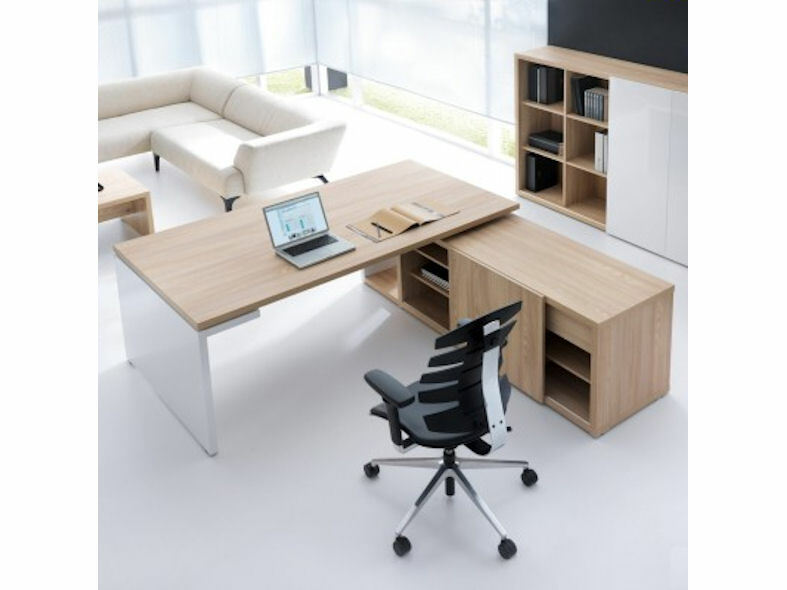 The MITO Executive Collection also includes the MITO Executive Desk with Pedestal End and the MITO Executive Electric Height Adjustable Desk.